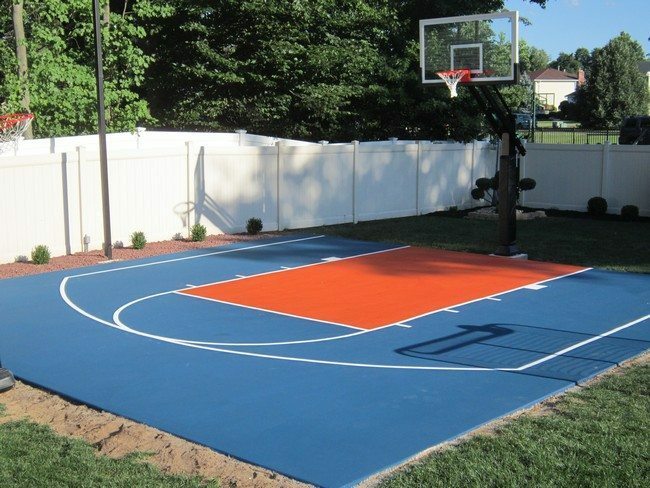 If you have children who are sports fans or perhaps you wish to teach them how to play a certain sport, you can create a court in the backyard, for instance the basketball court in this backyard. 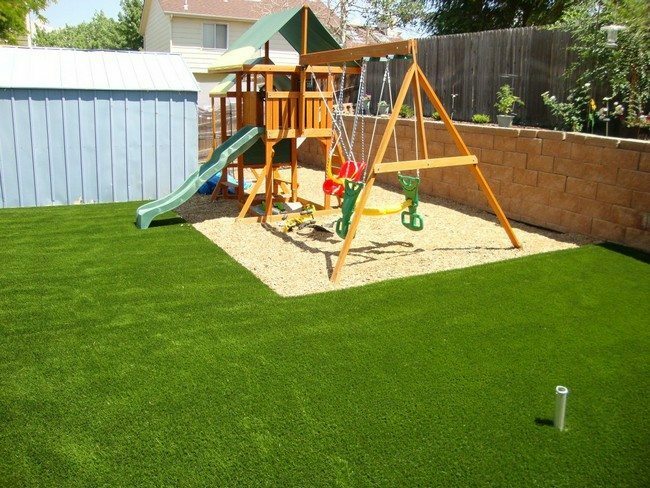 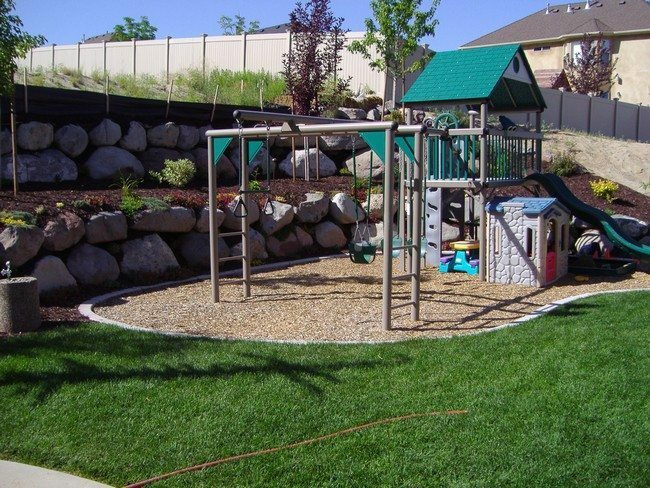 You can play around with regular things in your backyard, such as trees and rocks, to create your own perfect playground for the kids. 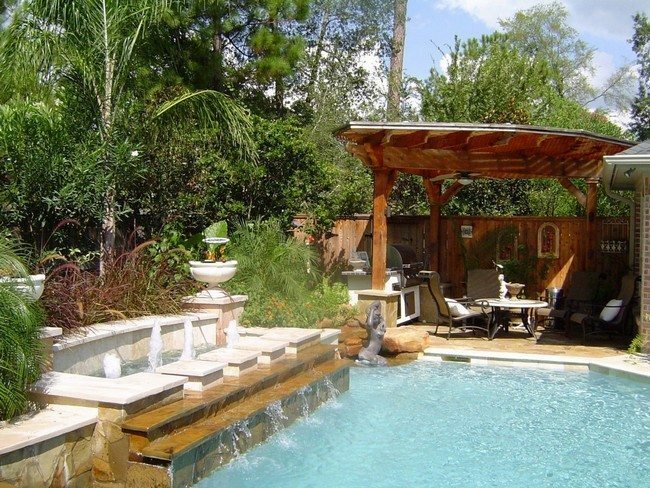 Water features are a great addition to any backyard. 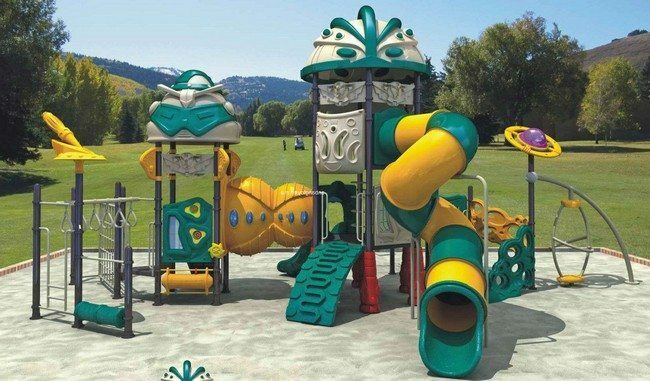 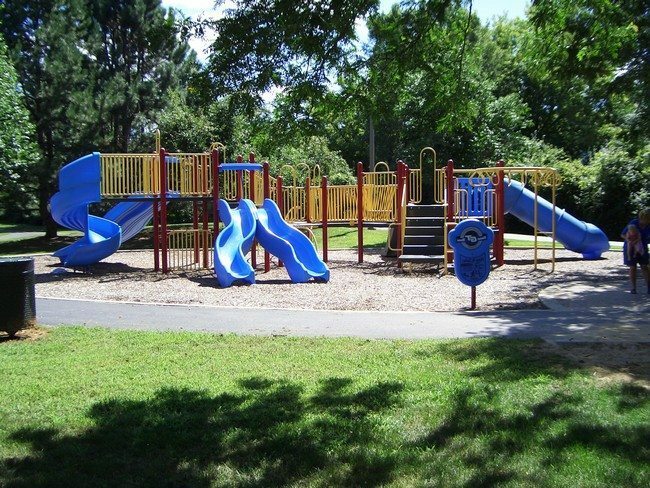 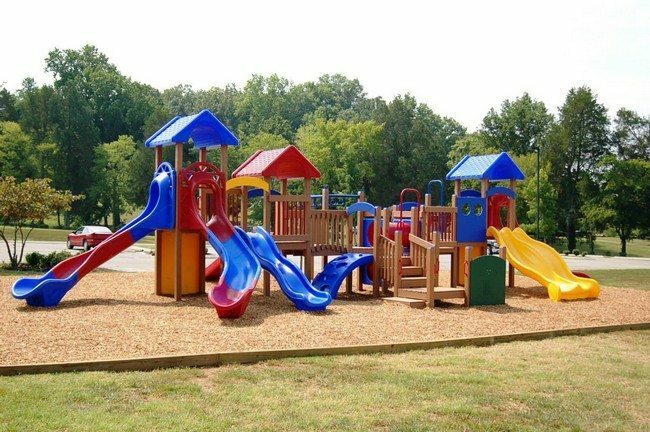 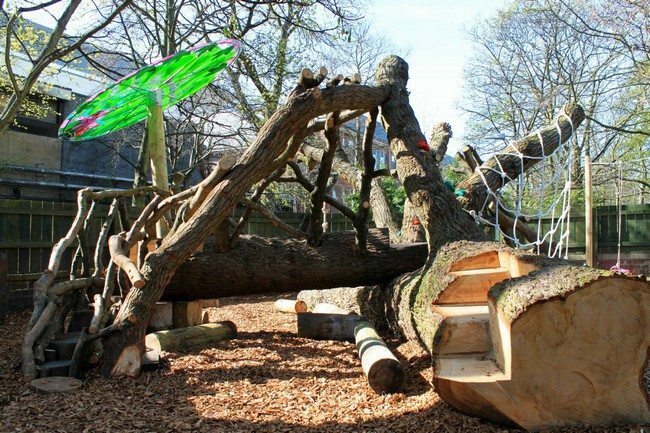 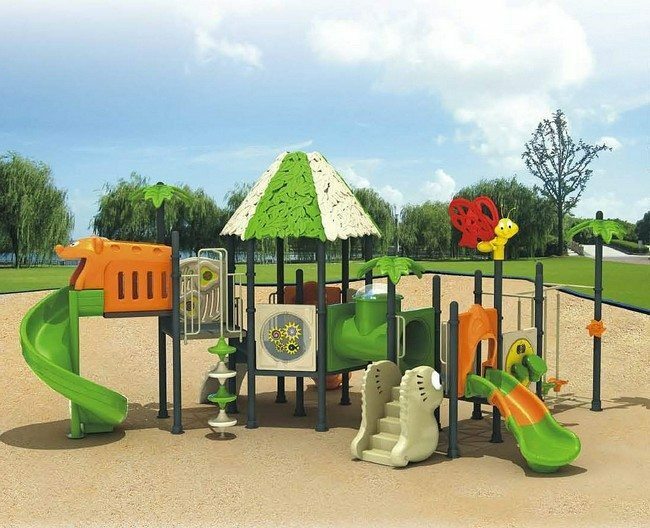 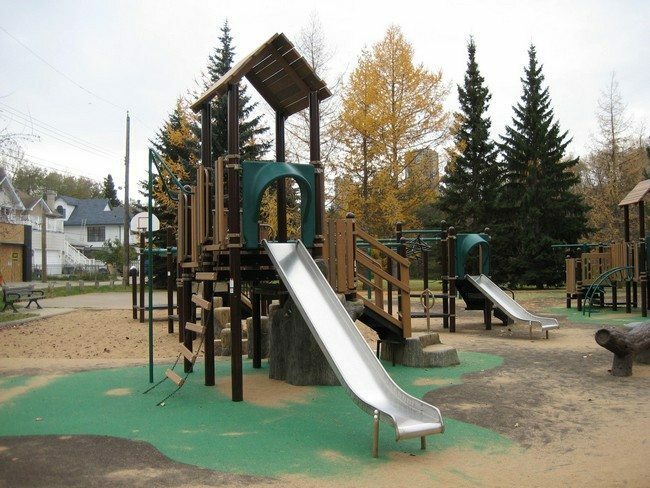 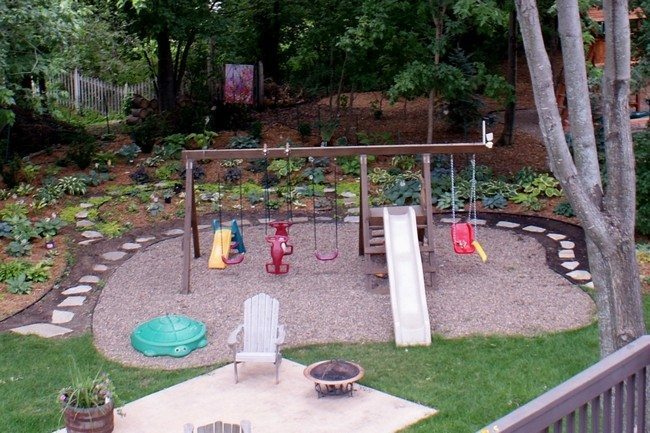 This is because they not only provide an area where the kids can play, they also improve the general landscape and design of your backyard, when you add features such as rocks and flowers. 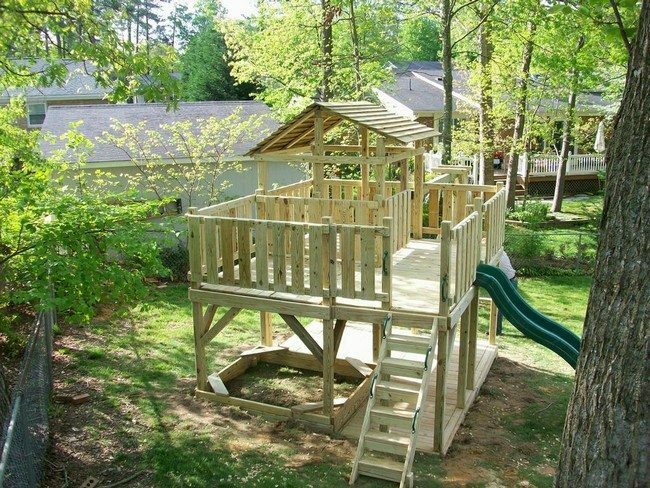 You can make your kids feel like they are having fun at the beach by creating a playing space that is beach style in your backyard. 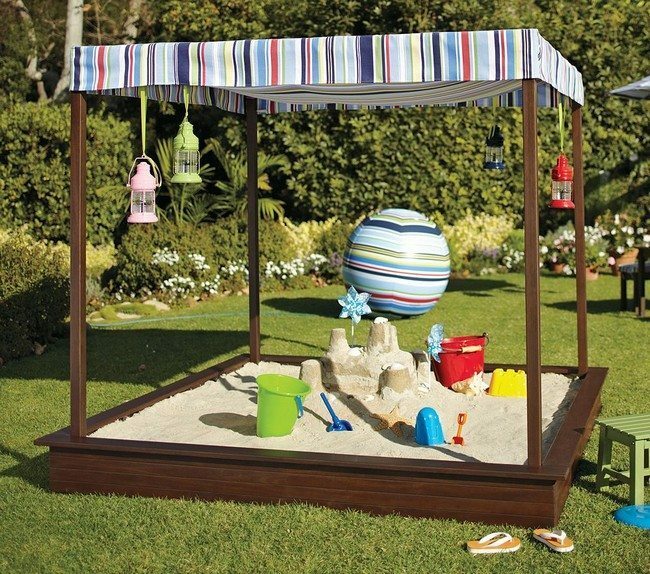 You can set apart an area and fill it with sand, so that children can enjoy playing with the sand and building things. 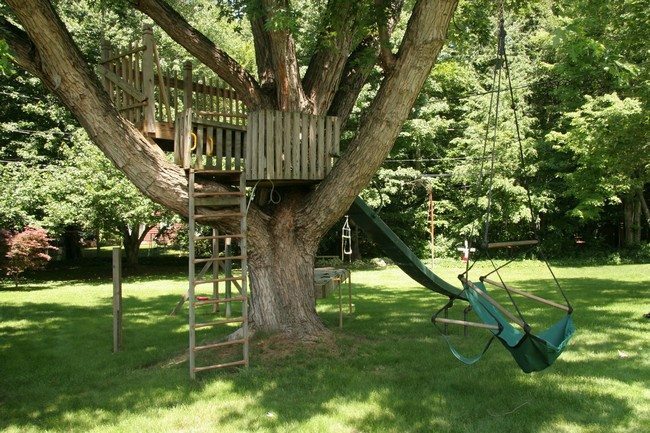 Children of all ages love to play in treehouses. 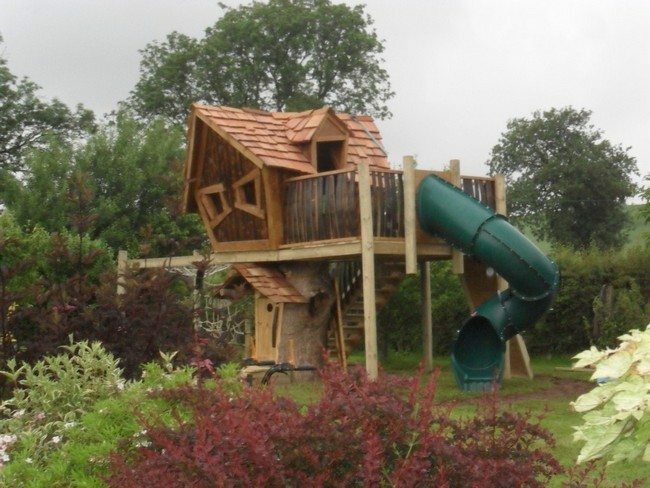 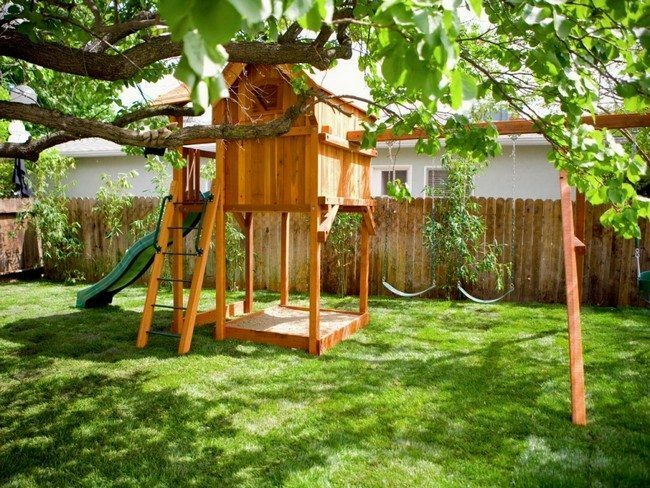 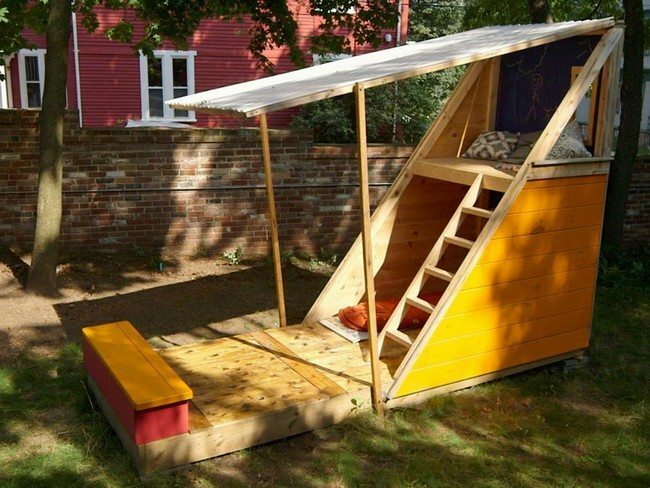 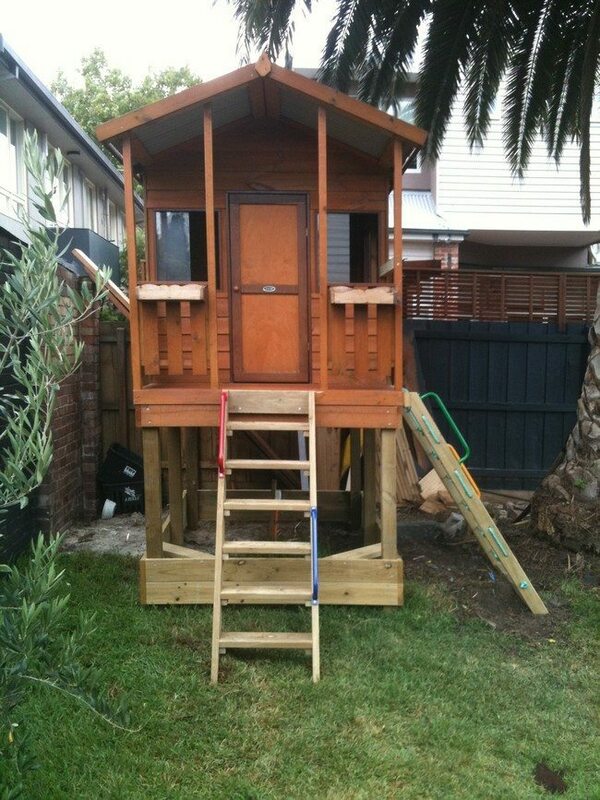 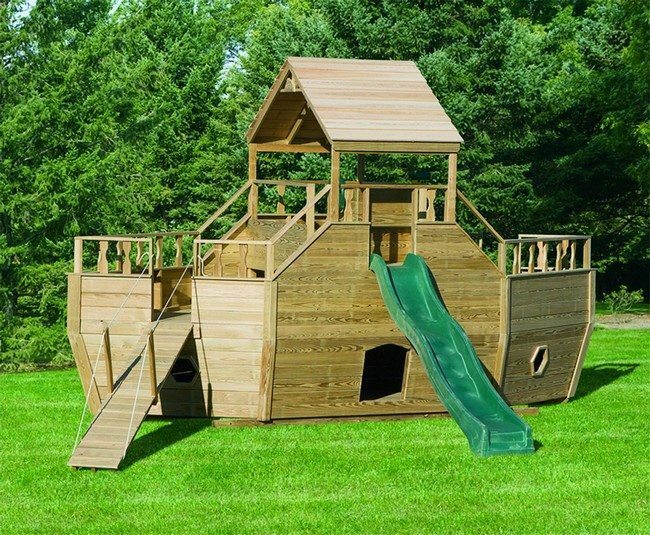 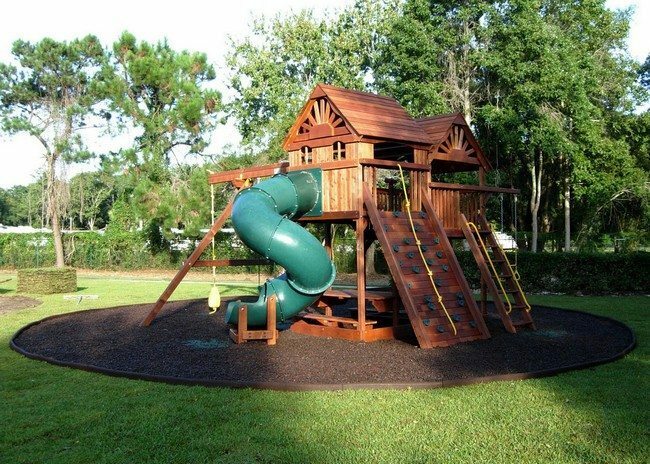 You can opt for a simple or fancy treehouse, depending on your budget and preferences. 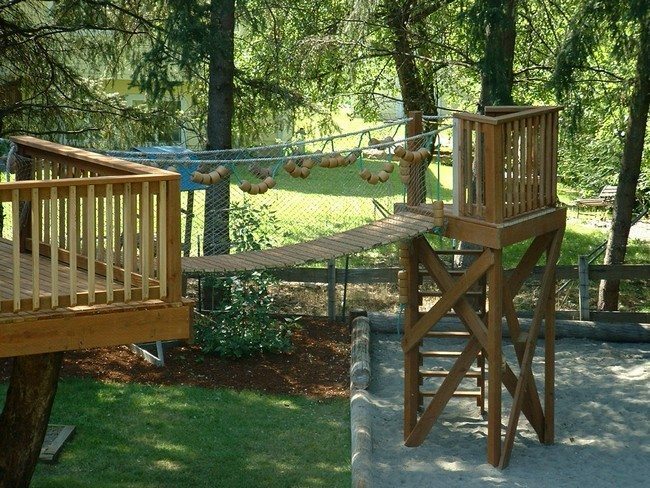 However, you need to ensure that the steps and treehouse itself are proofed, so as to avoid accidents. 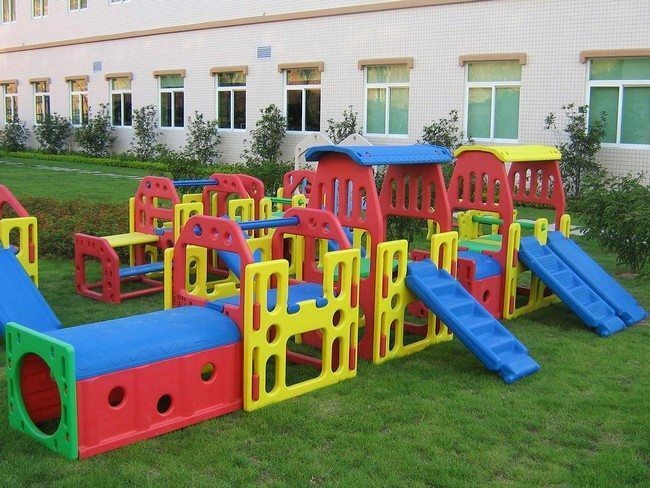 Kids love fun and bright colors. 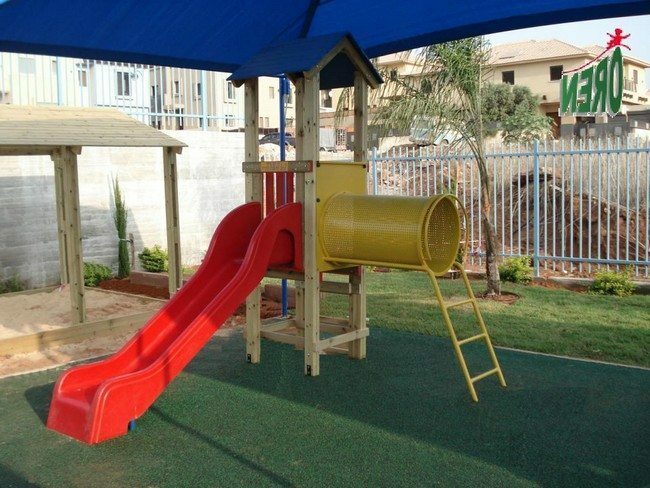 When buying or making a playing set, opt for bright colors such as blue and yellow, which the children will love, as opposed to dark colors. 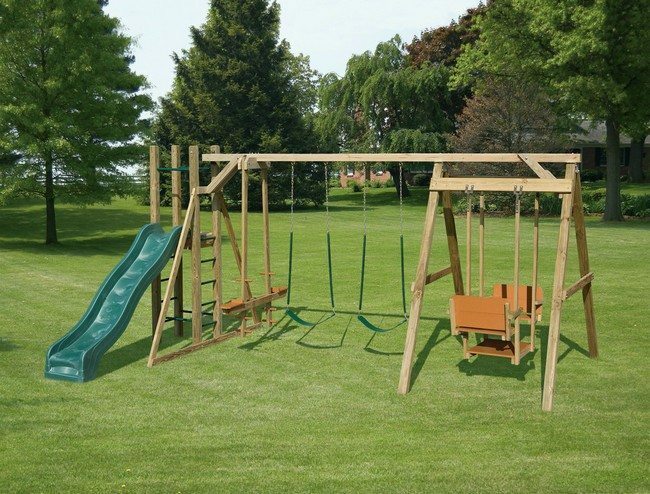 You can make your own playing set, rather than buying one. 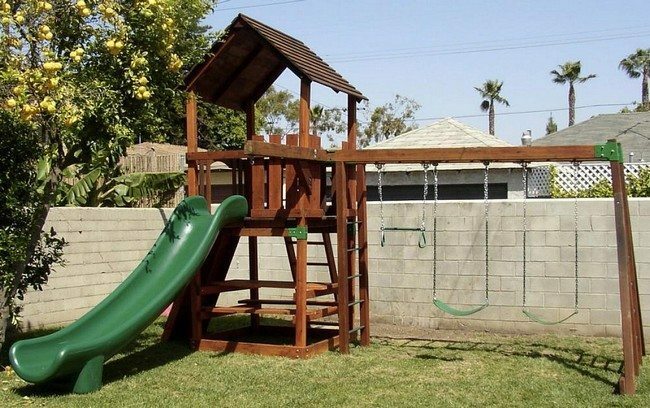 Making your own set is far cheaper than buying a new one, and you can customize it for your kids. 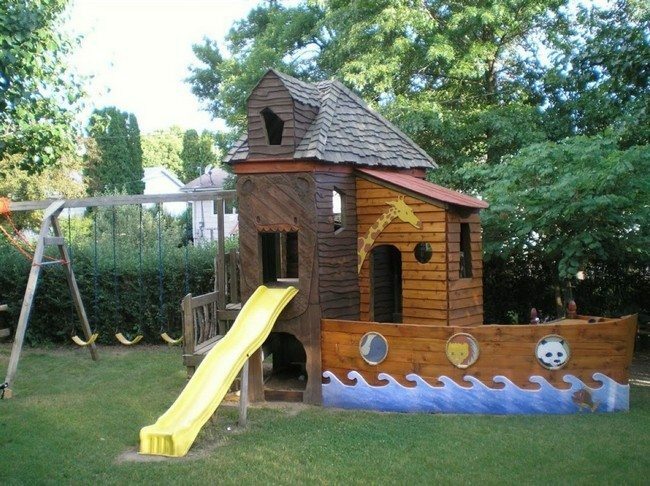 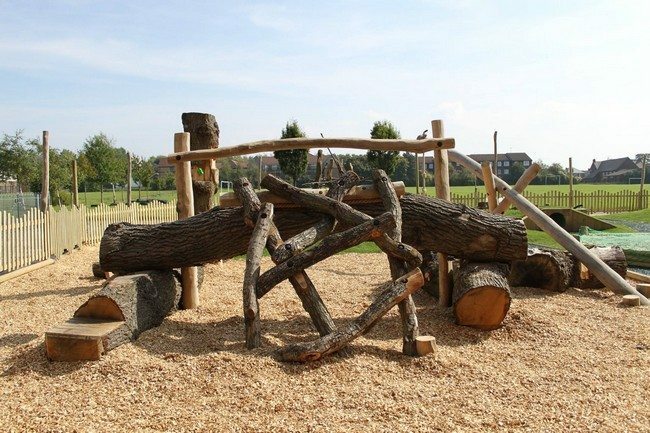 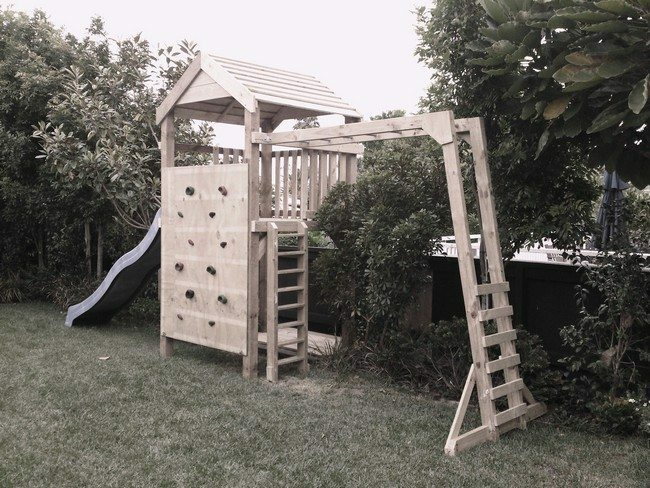 If you have old wood you had previously used, you can use it to make a playing set. 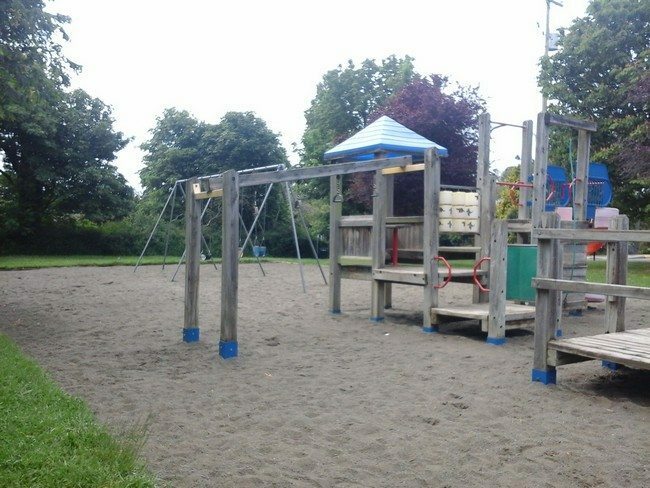 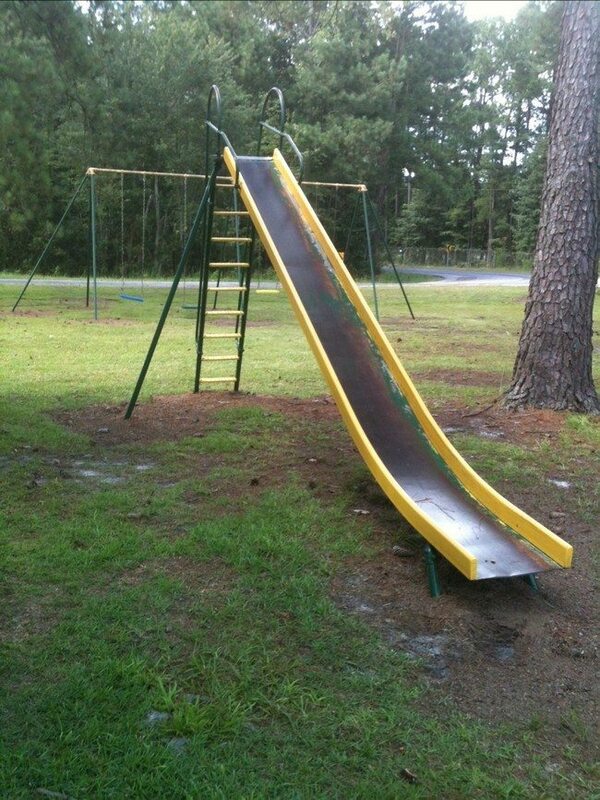 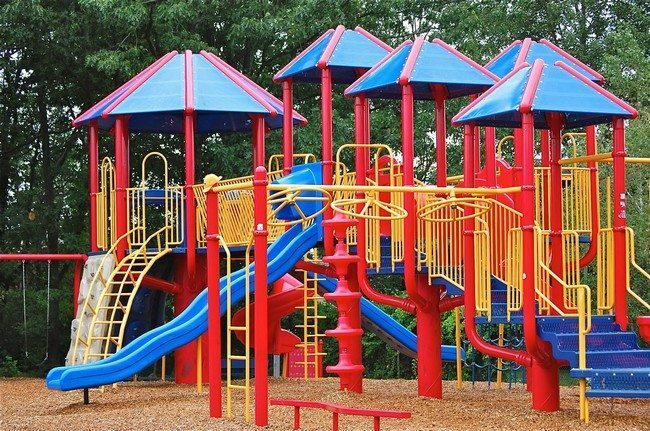 Where you decide to place the playground also matters a lot. 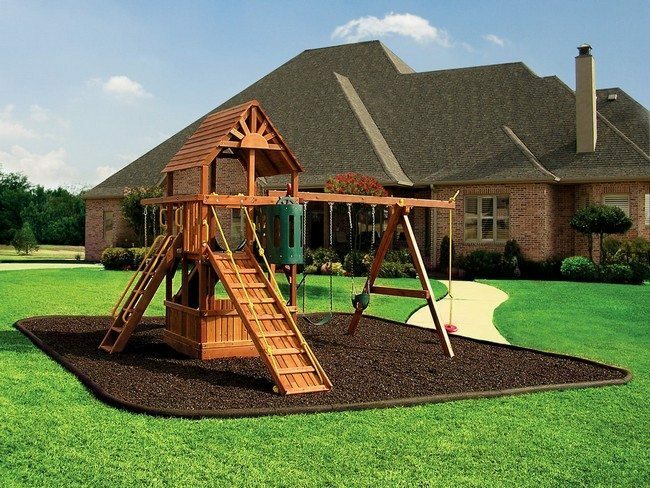 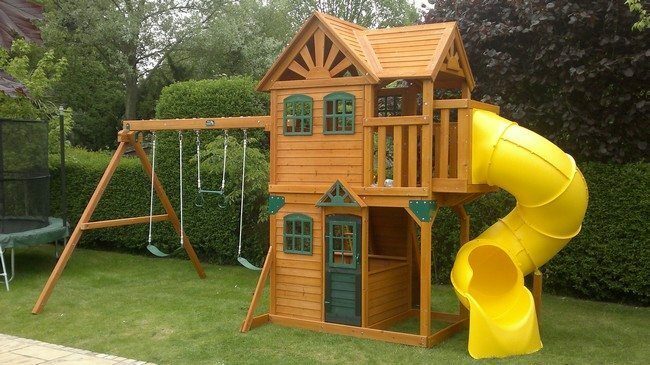 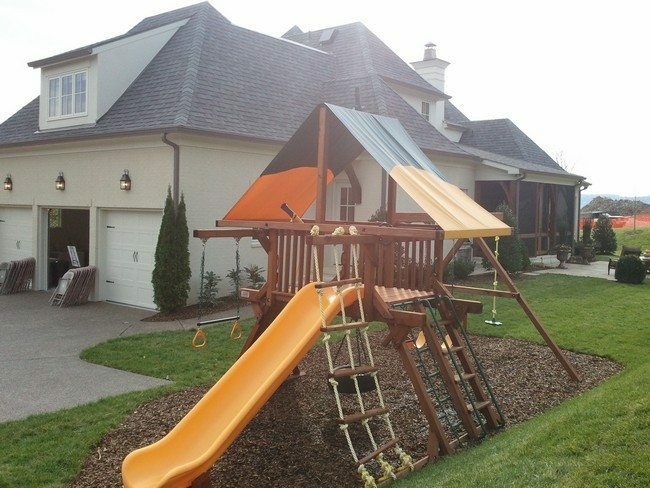 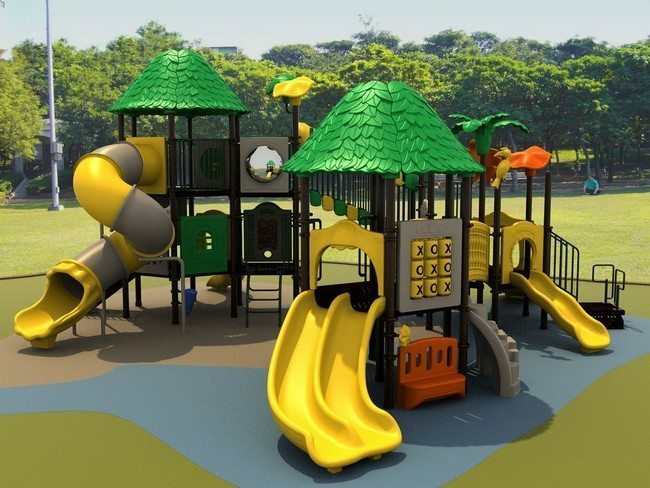 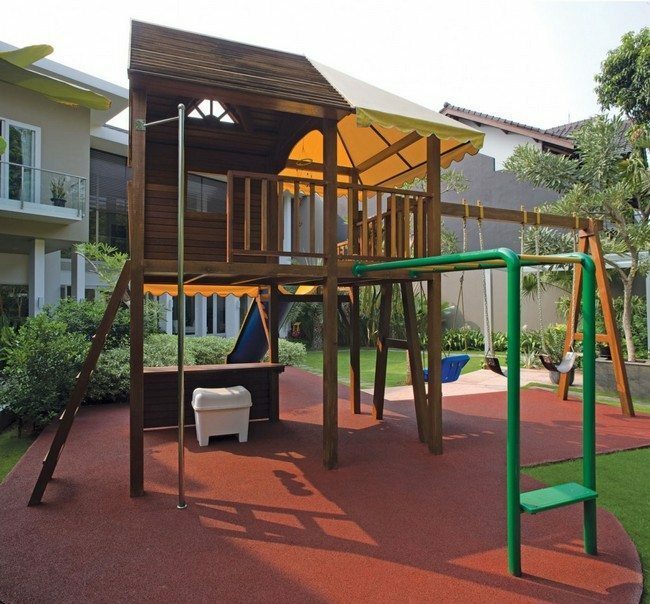 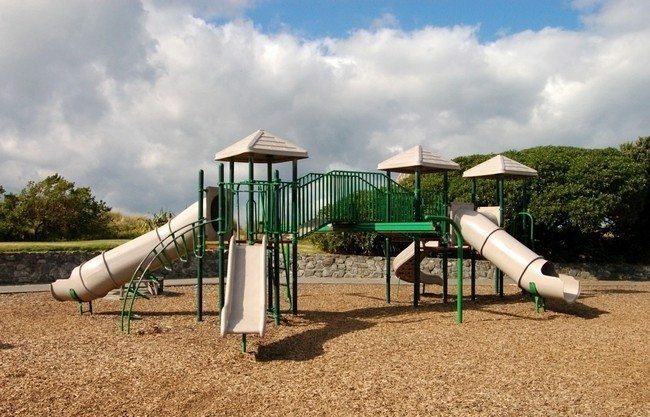 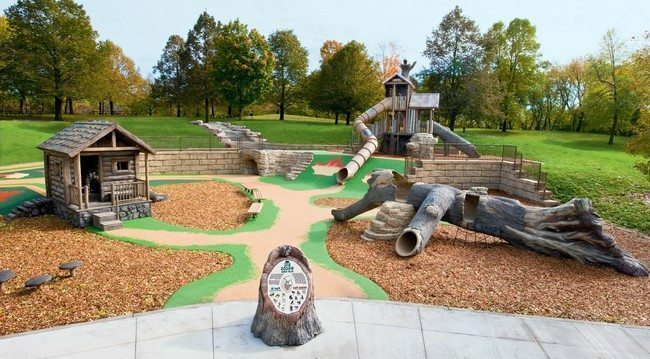 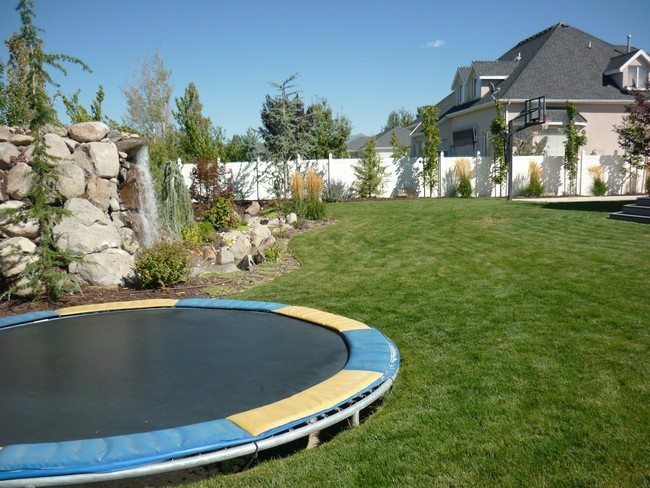 For this home, the garden is quite large and the playground has been erected in the middle.